The protein powder craze is one health trend that you should definitely avoid, and I’m about to tell you why! 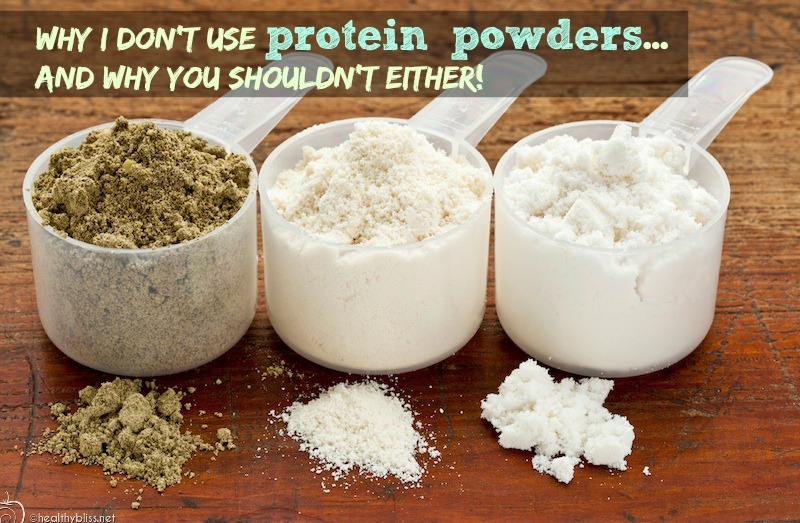 Learn what protein powders to avoid and why! Even with all their amazing health claims on everything from weight loss to better workouts to rock solid abs, I never felt drawn to protein powders. My feeling was always to stay close to nature with my foods, and I just wasn’t sure how a vanilla or chocolate or strawberry-flavored powder felt like anything except an overly processed food. 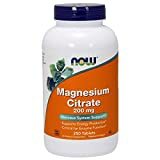 Over the years, I started to hear from clients who were getting sick from these powders – mainly pain in the lower back, bad skin, insomnia, depression and kidney troubles. In every case, the symptoms occurred AFTER starting high doses of protein powder. As I started to look at the ingredients on different labels, I knew that my intuition on this one had been right all along. Most people mistakenly think that protein powders are just whole foods ground up into a powder form, and that is definitely not true. In fact, in order to get a high protein count, you have to extract the proteins out of the food and leave the rest behind. Otherwise, you could not get anywhere near a high protein concentration. And with protein powders, the more protein, the better. Pea protein is the worst offender, especially for people who may react to these unnatural extracted proteins. That’s right…pea protein is an extracted protein, made in a lab, and it’s got a high glutamate concentration so it can affect you in the exact way as Monosodium Glutamate, or MSG. I’ve had a few clients who taking high doses of protein powders and they complained of migraine headaches, anxiety, and sensitivity to light or sound. Once we took the pea protein out of their diet, all symptoms disappeared. Note: ALL pea protein is extracted, even if it’s 100% certified organic. The same protein powders can be used in diet and weight loss shakes as well as body-building blends. Many protein powders contain “natural” flavors (note: the word “natural” is not regulated and can mean just about anything), artificial coloring and/or artificial sweeteners, none of which are good for your health. You can also find Genetically Modified (GMO) ingredients and/or Whey Protein Isolate, another high glutamate/extracted ingredient which is non-vegan and usually not organic so it can be high in antibiotics and pesticides too. Since protein powders are considered a “food” and not a supplement, they’re not actually regulated by the Food and Drug Administration (FDA). 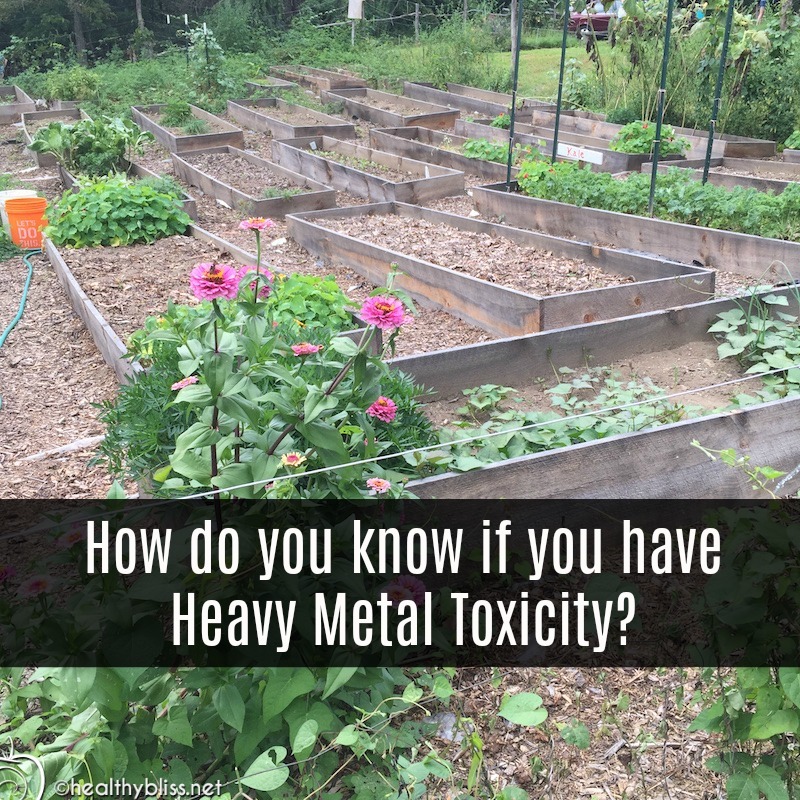 In a few cases, independent studies found high levels of heavy metals in certain ingredients such as organic brown rice protein. If your protein powder contains dangerously high levels of arsenic, cadmium or lead, how would you know? You won’t. Until it’s too late that is, and I don’t want that to happen to you! 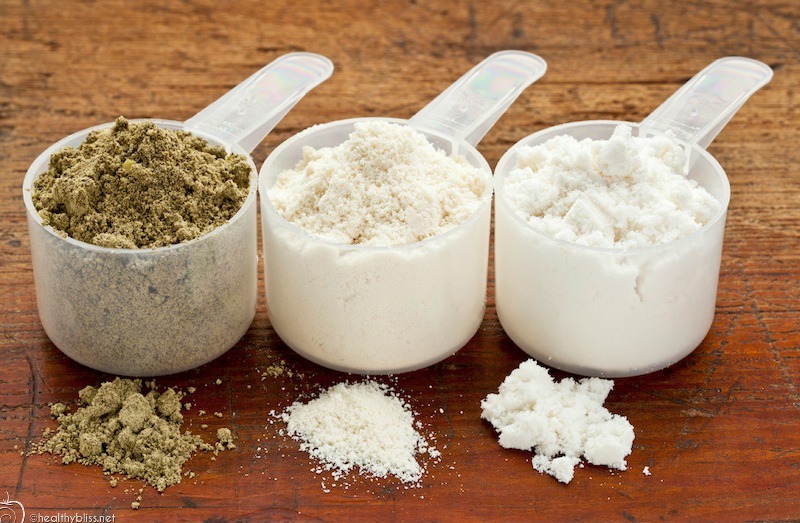 Many of the ingredients in the mass-produced protein powders come from India and China, and they are not regulated for quality or contaminants. Those low-quality ingredients are most likely irradiated as well. So you’ve got an extracted unnatural powder protein that was heated to super-high temperatures, stripped of its fiber and is no longer a whole food. (Yikes!) What’s your natural, organic body going to do with that? You’ll have excess acid and uric acid build-up that’s created from the metabolic waste in trying to digest and break down all those proteins. Your skin and kidneys carry the burden of trying to release excess acids. You might smell an “acidic or tangy” odor in your sweat. Over time, the kidneys can become weaker and the risk of getting kidney stones or kidney disease can increase. 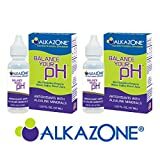 Eating a high acid diet is also not good for your pH health. An anti-cancer diet is an alkaline diet, not a a high acid diet. The boom of high protein diets helped to make protein powders a new diet trend. Just read any Paleo, Dukan, Atkins or low carb diet website and you will see everyone is talking about protein – protein – protein. I’ve even heard people talking about cricket protein powders (and surely that’s coming from China so imagine what’s in it, really). But here’s the deal – you can still eat plenty of protein if that’s your thing. Just choose whole foods! There are plenty of natural, vegan, organic whole food plant protein options out there. Since protein powders simply haven’t been around long enough to know if there are long-term consequences to your health, why take a chance? Your body was designed to eat whole foods. Best to Avoid: Pea protein, whey isolate, any hydrolyzed protein, natural flavors, aspartame, beet powder (if non-organic, this is usually GMO). Other good vegetable/plant-based sources of protein include organic spirulina powder, sprouted mung beans, lentils, sesame seeds and dark leafy bitter greens. You can make a super-healthy Green Smoothie with pumpkin seeds, hemp seeds, tahini (sesame seed paste), almonds and spirulina plus some fresh dark, leafy greens for an all-natural plant-based protein meal. You deserve the very best in health so I say choose the best! UPDATE! Read an updated article I wrote on this subject called Protein Powders containing Mercury, Lead, Arsenic and Cadmium: WARNING! https://healthybliss.net/bliss/wp-content/uploads/2014/11/proteinpowdersdd.jpg 523 800 Jennifer Betesh https://healthybliss.net/bliss/wp-content/uploads/2014/11/hb_logo_01.png Jennifer Betesh2014-11-23 12:24:342018-06-29 07:55:35Why I don't use protein powders…and why you shouldn't either! “Some people suggest that the oxalic acid in leafy green veggies can increase your risk of kidney stones. In fact, studies show that the real risk factors for kidney stones are not drinking enough water, suffering from magnesium deficiency, and not having enough calcium in your diet. True, certain leafy greens, such as spinach, Swiss chard, beet greens, kale, and collard greens, are high in oxalic acid. 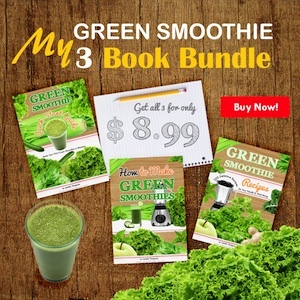 If you suffer from kidney disease or have only one kidney, minimize your intake of these greens. 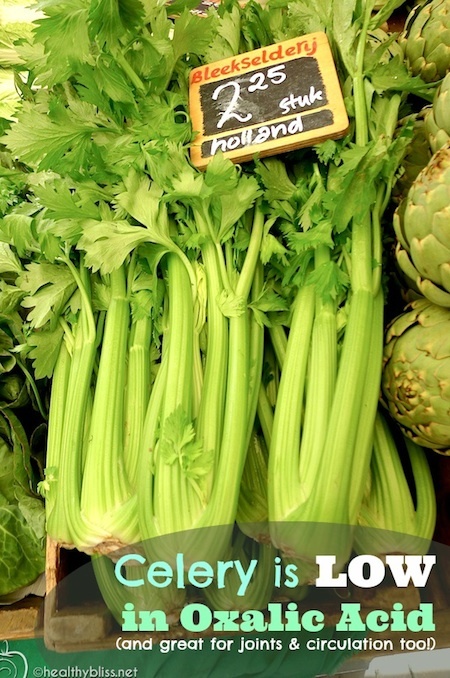 Leafy greens that are low in oxalic acid include lettuce greens, bok choy, celery, and all fresh herbs except parsley. 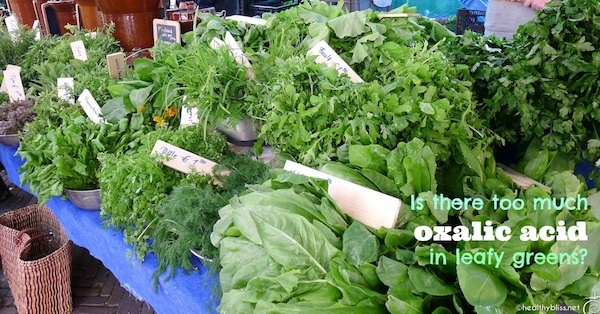 Is there too much Oxalic Acid in greens like kale, spinach, or Swiss Chard? Many people’s brains today are set into “one magic food” thinking, but that’s not what works for full body health. Having variety in your diet ensures that your body gets all the nutrients it needs from different fruits and veggies in different seasons throughout the year. A better way to approach your greens is like this: kale one day, celery one day, Swiss chard one day, cilantro one day, spinach one day, bok choy one day and beet greens one day. Do you see how easy that can be? Your body will be delighted at all the variety in those greens and your kidneys will stay happy from the balance of oxalic acid. Other high oxalic acid foods include chocolate, peanuts and peanut butter, pistachios, sesame seeds, black tea and coffee. Combine that with an acid-forming diet (wheat, refined sugar, animal proteins) and you’re kidneys will definitely start to feel it. So, are leafy greens combined with a diet full of fresh alkaline-forming fruits really the enemy? That’s food for thought! The bottom line: Rotate your greens and switch out high oxalic and low oxalic greens! 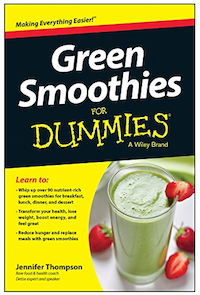 If any of those myths are stopping you from enjoying the amazing health benefits of Green Smoothies, then you should definitely check out the book: Green Smoothies for Dummies (now available on amazon and iTunes). 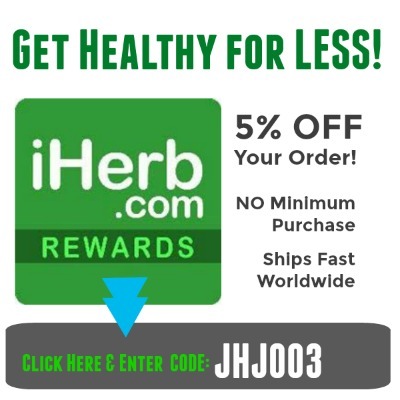 https://healthybliss.net/bliss/wp-content/uploads/2014/10/greensoxalicD600.jpg 314 600 Jennifer Betesh https://healthybliss.net/bliss/wp-content/uploads/2014/11/hb_logo_01.png Jennifer Betesh2014-10-28 09:58:362018-06-29 07:55:36Do Green Smoothies have too much Oxalic Acid? Eating raw organic food can be so much fun! Check out this gorgeous salad that took only a few minutes to prepare…and it’s full of detox foods to make it a mini-cleansing meal! For the salad add: Chopped rocket leaves, grated carrot, chopped cucumber, fresh mint, parsley, sunflower seeds and top with homemade raw sauerkraut. If you can’t find rocket leaves, then just use fresh chopped spinach or romaine lettuce. Make the dressing with: Chopped garlic, crushed papaya seeds, extra virgin olive oil, raw organic honey (optional), fresh lemon, a dash of cayenne pepper and Himalayan salt to taste. The papaya seeds should be fresh, from a ripe papaya. I usually set aside some papaya seeds after eating the papaya. Store the seeds in a small jar in the fridge for up to one week. 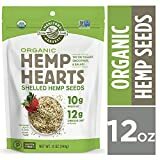 Use a few seeds each time you make this recipe. 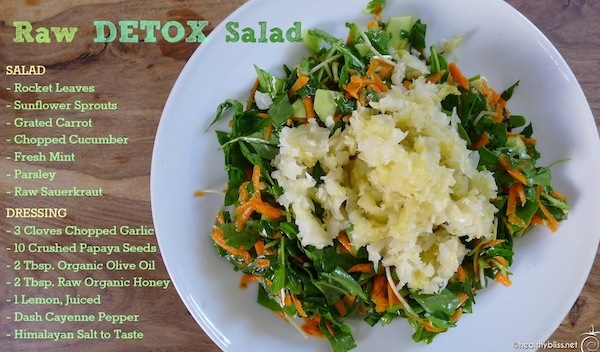 What makes this a DETOX salad? Let Your Food be Your Medicine…..Wow, it’s really true! Click here to learn how to make fermented cabbage and raw sauerkraut. In a temperate climate, it takes as little as 4 days! The highly refined foods that you eat every day, including sugar and white flour, make you susceptible to intestinal problems, and possible diseases. The average diet today is heavily loaded with chemical additives, flavorings, coloring agents, toxic pesticides, herbicides, fungicides, and other toxic chemicals which overburden our bodies. Add to that work and family-related stress, indigestion, illnesses, constipation and sedentary lifestyles, and you have a recipe for an unhealthy colon and an overweight and tired body. 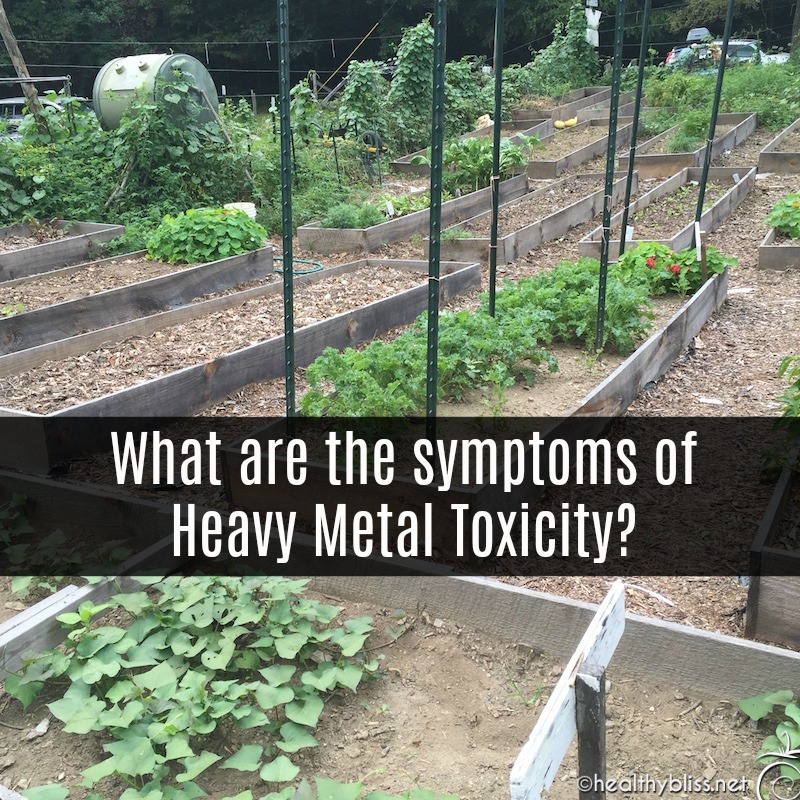 Many health conditions are caused by the combination of processed foods, low fiber diets and poor evacuation of waste. Periods of abstinence from solid food – a ritual performed since ancient times – can allow the body to “cleanse and purify” or “detox”, that is, to remove toxins, excess fat and even parasites caused by years of ingesting processed food, excess food, refined sugar and wheat and even fast food that eventually impairs the normal functioning and our body’s elimination. During fasting, large amounts of these accumulated metabolic wastes and poisons are eliminated through the cleansing ability of all the organs of elimination – the colon, liver, kidneys, lungs and skin. 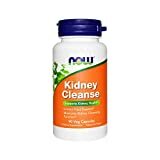 Eating more detox foods in your regular diet is a way to have a “mini-cleanse” on a regular basis and that helps the elimination organs keep us with their daily housework. Eat a detox salad for lunch instead of pizza or Chinese food and you will have better digestion, less headaches or insomnia, improve your skin and increase energy levels, simply by choosing better fuel for your body. A raw food diet is a detox on its own. You can continue for 1, 3 or 7 days on a 100% low fat raw food diet as a way to really give the body a good natural cleanse from the inside-out. 3. We schedule a time to meet!